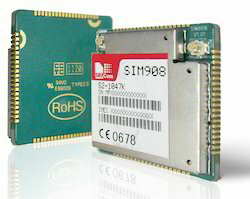 SIM908C module is a complete Quad-Band GSM/GPRS module which combines GPS technology for satellite navigation. The compact design which integrated GPRS and GPS will significantly save both time and costs for customers to develop GPS enabled applications. SIM968 module is a compact Quad-Band GSM/GPRS-enable module base on PNX4851 platform which is also equipped with GNSS technology for satellite navigation. The complete design in a SMT type makes it easy to integrate GSM/GPRS&GPS as an all-in-one solution. 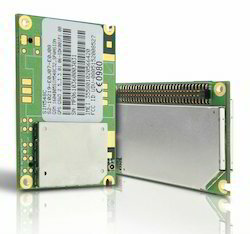 SIM928A module is a compact Quad-Band GSM/GPRS-enable module base on PNX4851 platform which is also equipped with GPS technology for satellite navigation. The complete design in a SMT type makes it easy to integrate GSM/GPRS&GPS as an all-in-one solution. 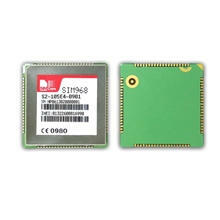 SIM548 module is a Quad-Band GSM/GPRS-enabled module that is also equipped with GPS technology for satellite navigation. The compact design of the SIM548 makes it easy to integrate GSM/GPRS & GPS as an all-in-one solution. You will save significantly both time and cost for the integration of additional hardware components. •Operation temperature:-40??? to +85 ??? Looking for SIMCOM GSM GPRS GPS Combo Module ?